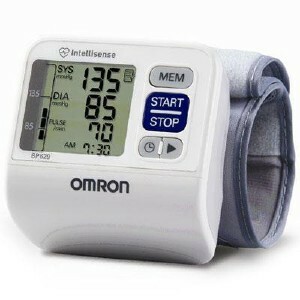 The 3 SERIES wrist blood pressure monitor is a quick and easy solution to checking your blood pressure at home or on the go. This lightweight, portable model lets you monitor anywhere, and features Advanced Averaging technology that displays the average of the last three readings taken within 10 minutes. The attached cuff fits wrist sizes 5-1/4 inches to 8-1/2 inches. Storage case and 2 AAA batteries included.